If the crane-filled skyline, increasing home prices, worsening traffic, and competitive job market weren’t enough to tell you that Seattle’s tech economy is booming, a new map released Wednesday should do the trick. 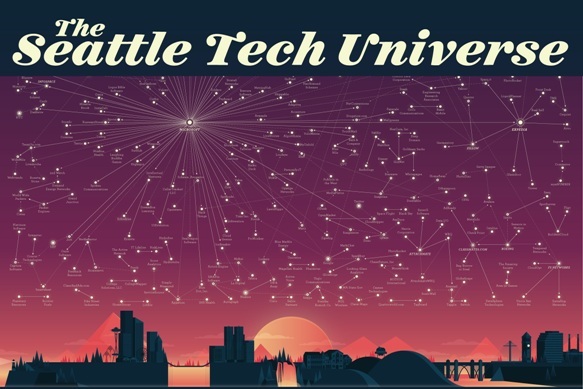 A previous star-chart-like depiction of the Seattle-area tech universe, released in 2009, helped investors, entrepreneurs, job seekers, and others visualize the region’s major companies in IT and communications, along with their parent companies, spinouts, and acquisitions. There were some 711 businesses and institutions tracked on the map, which was based on data gathered in 2007 and 2008. The Washington Technology Industry Association and Madrona Venture Group, which have been working on an update of the map for most of this year, now count more than 2,100 additional tech companies in the region—though only those fitting certain criteria for funding, significance, and location are included on the map. The major galaxies in the Seattle Tech Universe, circa 2015—Microsoft, Amazon, and University of Washington—are brighter than they were a decade ago as they continue to draw in talented tech workers who go on to form their own companies. And there’s a growing swath of stars from Silicon Valley, representing the nearly 70 engineering centers opened by virtually every significant tech company not already based in the region, in a bid to tap the deep pool of talent here. The 2009 map was useful in easing concerns of engineers and executives being recruited to Seattle-based companies. It showed them there were interesting places to find another job in the area if their first company was acquired or folded. “We don’t get that much anymore,” said Tim Porter, a managing director at Madrona Venture Group. The updated map points not only to the continued importance of the “anchor tenants” in tech, but also to the smaller companies that have spawned significant offshoots of their own. RealNetworks, for example, traces its lineage to Microsoft, where CEO Rob Glaser worked before founding the Internet media company in 1995. Former RealNetworks employees have since founded at least 10 locally based technology companies, according to the 2015 map, including enterprise data storage provider Isilon Systems, acquired by EMC. Now Isilon veterans are building a new generation of enterprise storage companies, including Qumulo and Igneous Systems. Another cluster might be called the Rich Barton galaxy, which begins with the Microsoft spinout Expedia, which begat Glassdoor, Trover, Avvo, LiquidPlanner, and Zillow, which in turn begat Garmentory and Quoros. There are several new public companies on the map, which could point to where things are headed in the next decade, said WTIA CEO Michael Schutzler. Online retailer Zulily and data visualization software maker Tableau are two prominent examples. The map also highlights several core areas of strength for the region broadly, including cloud computing, mobile applications, online retail, and gaming. “We’ve become leaders and drivers in this area in a number of the most significant value-creation and job-creation engines in the world,” Schutzler said. 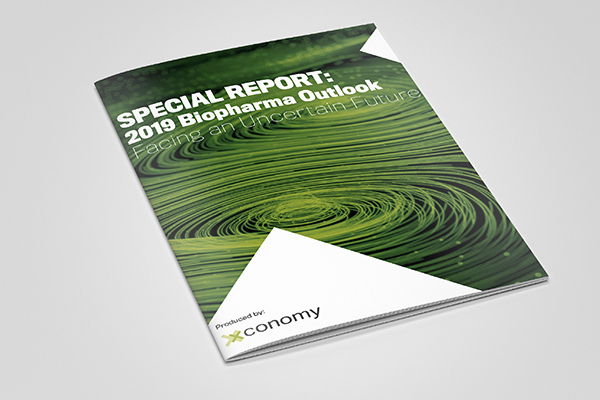 There are significant areas of the Seattle innovation economy the map doesn’t cover, namely biotech, medical devices, and other institutions and companies in the broader life sciences industry. The mapmakers want to extend it to other sectors, but had to draw a line somewhere—in this case at IT and communications-based businesses—to keep the project manageable. But, particularly as the region ramps up its ambition at the intersection of IT and healthcare, another update may be in order.